Whether the canonical page is available (status code 200). If there is a duplicate title, heading or other content. Whether it is a self-referential canonical and you don’t have to deal with it. Whether Google canonical has been accepted or ignored. In addition to warning about the missing alternative (alt), Spotibo also warns you about descriptions that are probably described wrong. For example, if a description contains only a name such as “image”, “picture”, file name or others. Checks whether language mutations are correctly defined – it will notify you, if there is an error in any language or region. Warns if a page does not have a link to other languages other than hreflang. 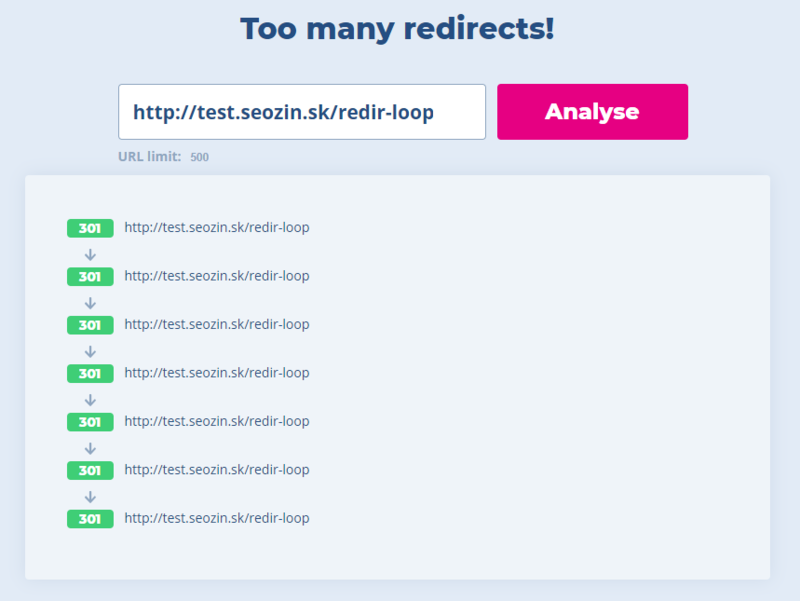 For a given URL, you will see if it was redirected, how (301, 302, etc.) and how many jumps the redirect contains. 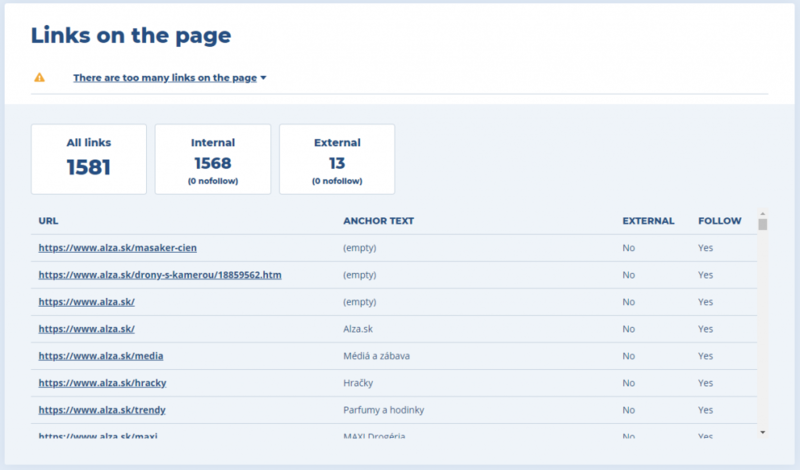 Link analysis will let you know whether there are too many links on the page, what the anchor texts of these links are and if they are nofollow. We are struggling to evaluate the severity of errors as accurately as possible. For example, noindex on the page is sometimes a big mistake, and often the desired condition (for example for the test version of the site). The last thing we want to do is to scare our users about having something wrong on the site. On the other hand, we have to warn you about potential problem. That’s why we changed the names of the issues. If you find “error” in our automatic evaluation, it is 100% error. For example, if the site doesn’t have define meta title. Potentially serious threats that need to be checked are called “urgent warning”. So far, the changes were primarily related to a single page audit. However, we also worked on an entire site audit, especially on internal linking analysis. In the past, if you have added an “Incoming link texts or ALT” column in the URL list, you got the unique anchor texts or the image descriptions that they have linked to the URL. Now, you can click on each anchor text to find out which page contains this anchor text. For example, if you filter anchor texts like “click here”, you can click on it and show all pages with the same anchor text. We now also take into consideration almost all the ways the search engine has reached the URL. We do not only follow common links, but also “links” through canonicals, pagination and more. Soon we will release some new improvements. For example, we will monitor duplicates arising from protocol change (http vs. https), or www vs. without www. If you want to know about the new features, subscribe to our list. For now, just try these improvements for yourself.